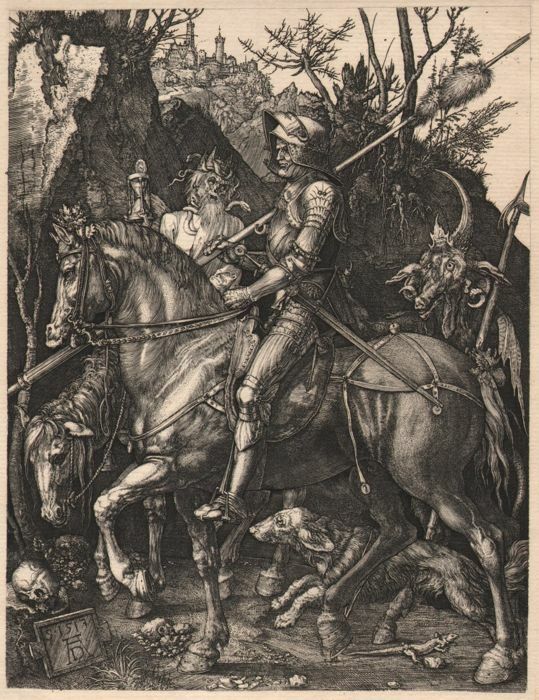 Albrecht Durer (1471-1528) - Ridder, dood en duivel - Vermoedelijk een heliogravure. 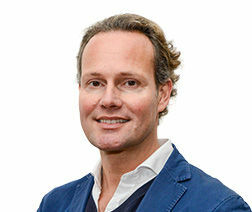 Ridder, dood en duivel - Vermoedelijk een heliogravure. 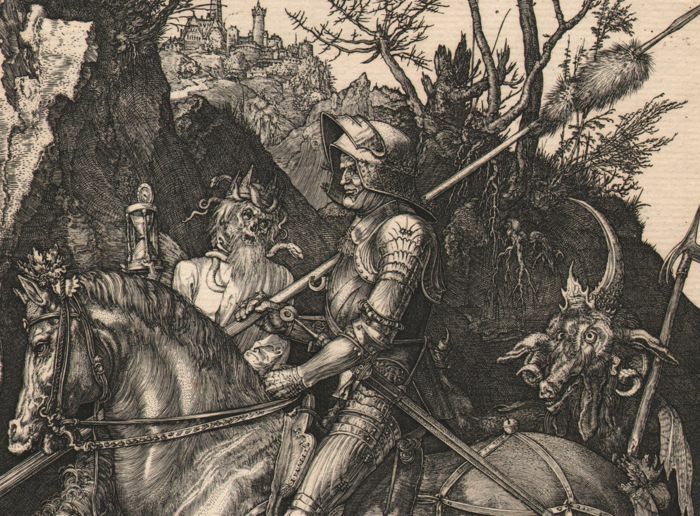 A knight on horseback, riding over a rocky path with his dog by his side. 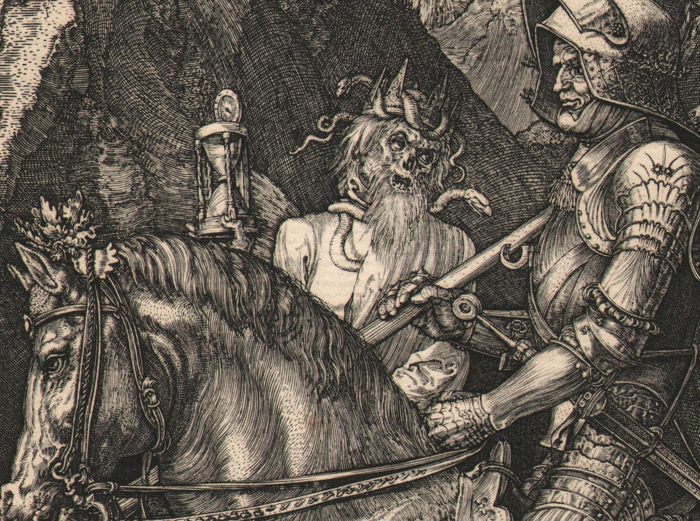 He meets Death, who is also on horseback, on his way as well as the Devil. There is a city in the background. 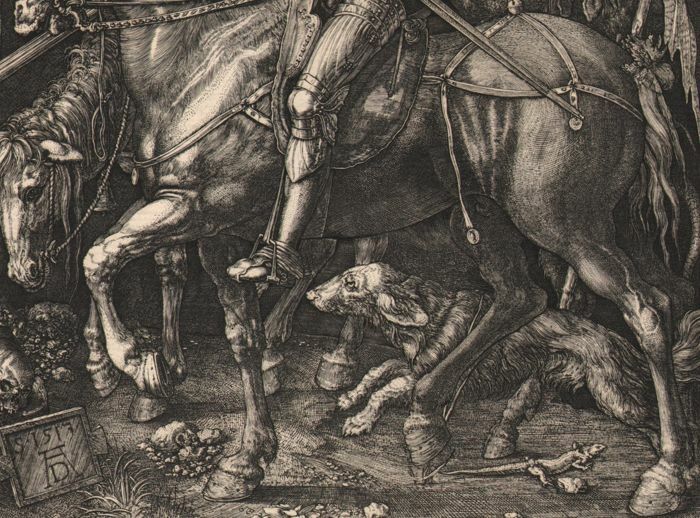 This is Dürer's most famous print, which, over the centuries, have been subjected to the most diverse interpretations. Presumably this shows the 'Christian Knight', the tireless warrior who will not be distracted from his purpose by anything. 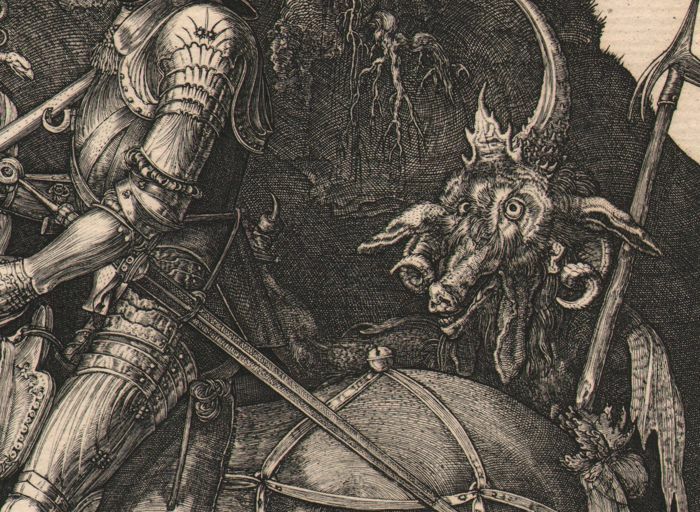 Nor Death on his decrepit horse, nor the Devil with his ridiculous, cross-eyed pig snout can harm him. 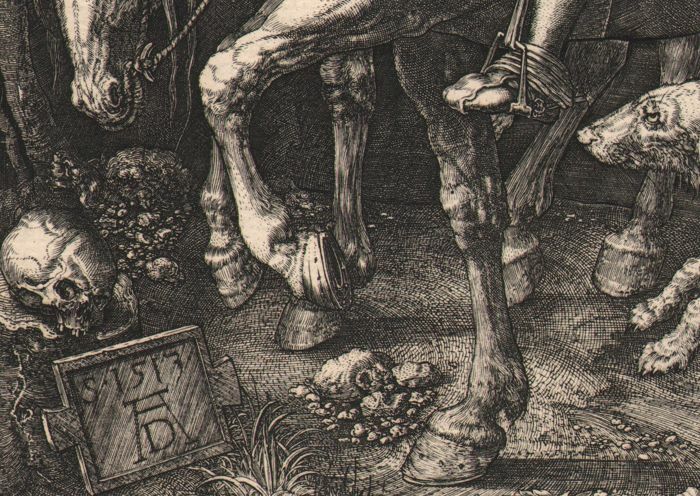 Signature and date: ‘S 1513 AD’ on tablet. 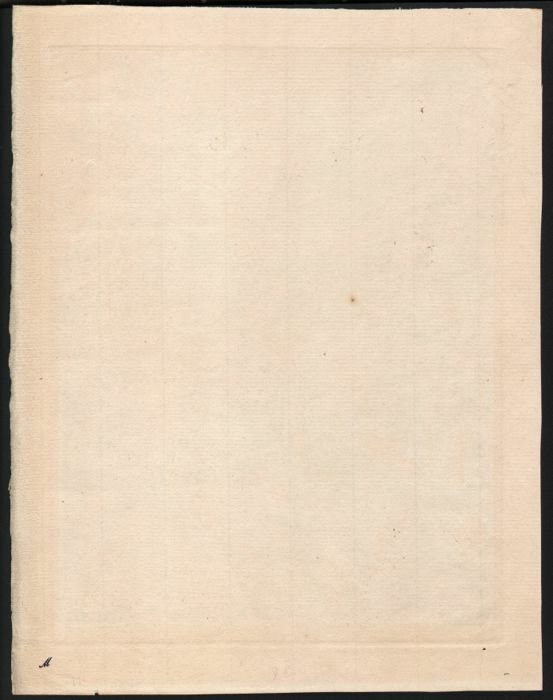 On hand-laid paper with watermark and small collectors stamp on the back. 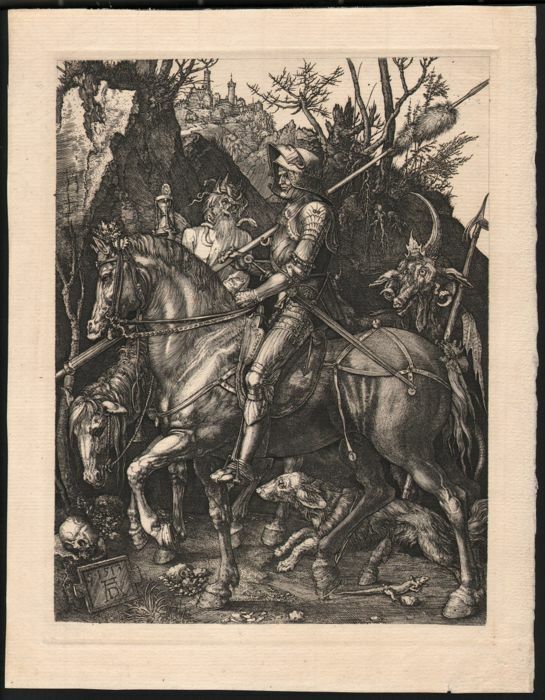 Technique and date of print unknown, probably 19th century.